Busy Bees in Wollaton, Nottingham - Exploring gloop! 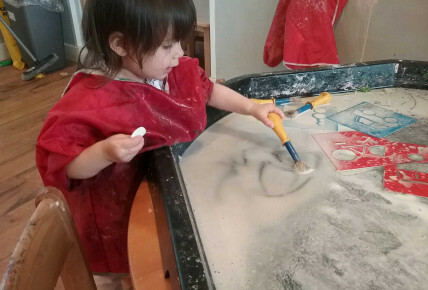 The children in the Toddler room have been getting their hands mucky whilst exploring different textures in the tuff spot. 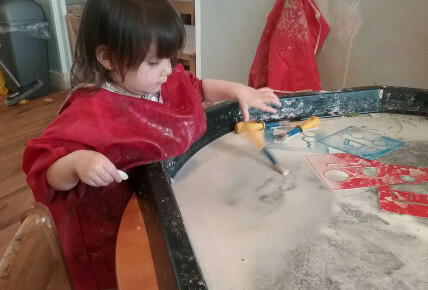 They have been using their hands, as well as different tools to make marks and explore in the gloop. 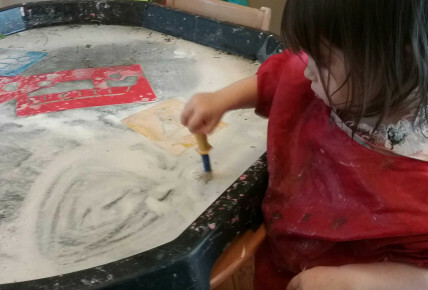 Some of the children have even been using the gloop to draw pictures of their family!